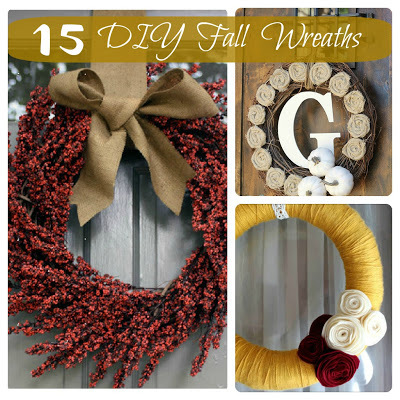 Shoestring Elegance: What to do Weekends #141~ Welcoming Fall 2015! Of course, we would truly appreciate it if you could try and connect with us both in some way! Onto our wonderful regularly weekly Features! So much to choose from! 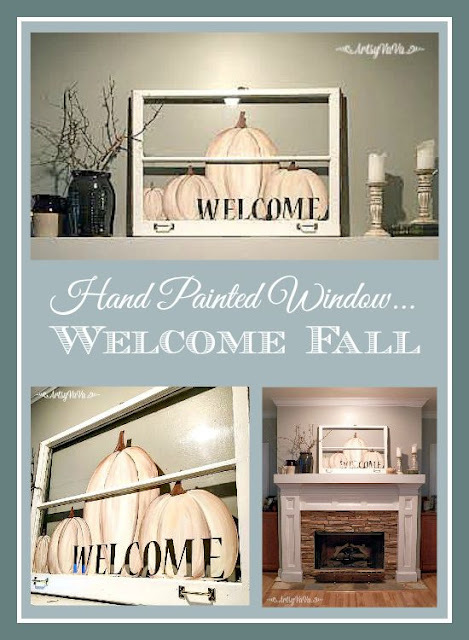 I just loved the way Artsy VaVa's Welcoming Fall with a Hand Painted Window looked I couldn't resist! What a great idea to try! My second DIY Feature for this week was Sweet Things' adorable Wooden Jewelry Storage Makeover! I seriously am trying to find on of these old wooden cupboards just so I can make one too! As for my Recipe Features, Oh MY!! Where to begin?! You all deserve a Feature, but I am limited to just two more! 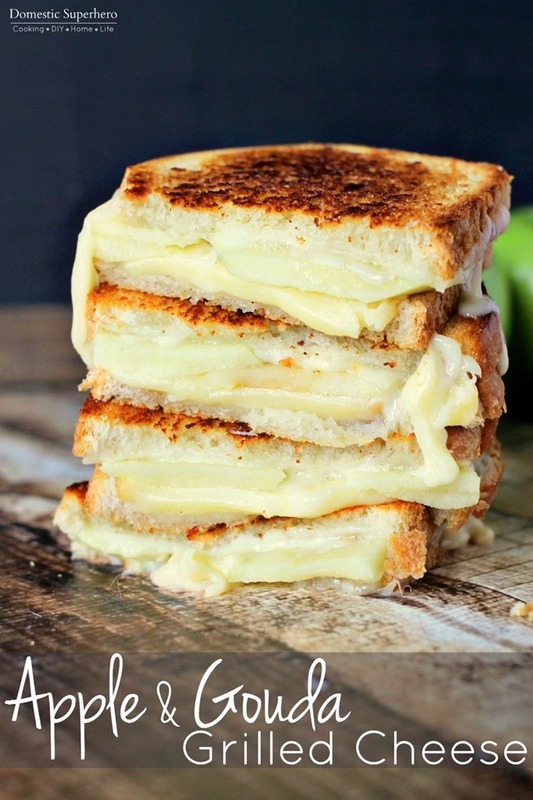 So, with that said, I can't wait to try Just Us Four Blog's Yummy Apple Gouda Grilled Cheese! Talk about taking a grilled cheese to the next level! Safe to say, that she has achieved that here! 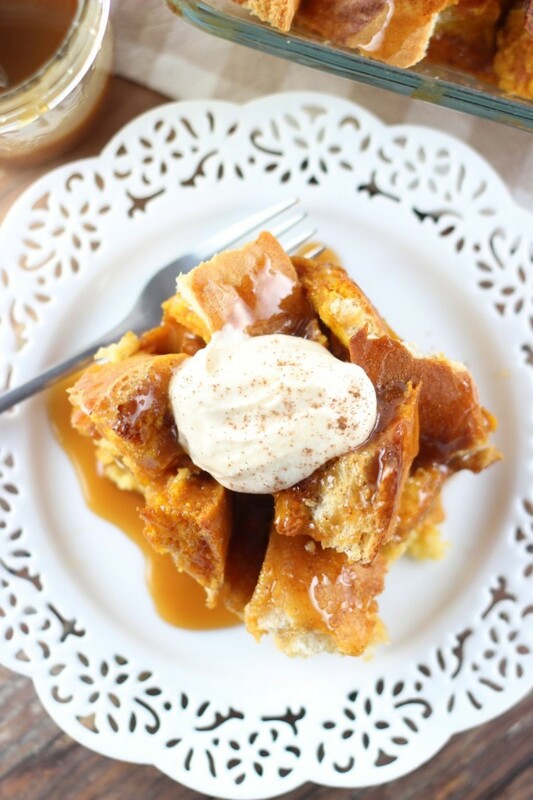 My second Featured Recipe this went to Girl the Gold Lining Girl's Pumpkin French Toast Casserole! Now, that screams Fall to me! Let's check in with Linda! She has been perplexed on how to pick 2 DIY/Crafts ... the party is FILLED with awesome crafts and how-tos. She thought this nursery from Bombshell Bling was completely amazing, though. There are SO MANY wonderful ideas in this one post like the beautiful colorful lights or the framed pictures above the crib. Gorgeous. 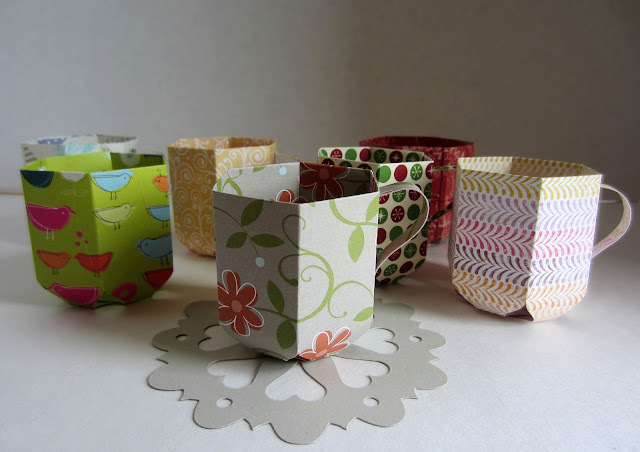 And this cup from Paper Seedling appealed to her fun side and her love of paper crafting. Linda also thought it was equally and in some ways, even harder to pick out food features. The food this week looks so delicious. What recipes!! She thought these Pumpkin coffee cake donuts from Delightful e Made were super. And this Spiced apple and almond cake left her drooling by April Harris. Thanks for another lovely party, Theresa. I hope you're having a great week. Thank you, Beverly! I pray the same for you. :) Love your Coastal Wreath! Thanks or coming and sharing with us! 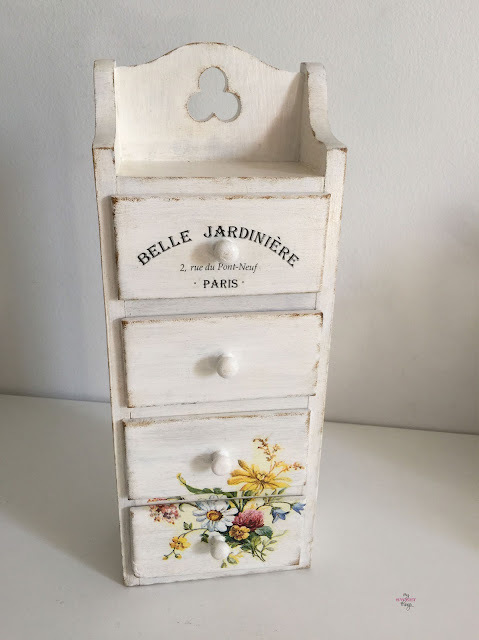 Thank you so much, Theresa, for featuring my jewelry box! It's been a wonderful surprise!! Theresa, thanks for hosting another great party. Always find so much inspiration. Have a wonderful weekend. Thanks for coming and sharing,Mary! So glad you could make it. I'm always shocked by how creative you all get, too! Thank you so much for the feature of my Spiced Apple and Almond Cake, Theresa! I'm sorry I haven't visited until now - I've been out all day at a blogging conference. Have a lovely weekend!